It is mainly composed at least three types of fish, shelly fish and you can also add a few crustaceans. It has a great depth of flavor due to the variety of seafood used and it is usually served with creamy Polenta. This is a unique Croatian traditional food from Poljica and it is a favorite to many especially kids. Ideally, Soparnik is a flat vegetarian pie that is filled with garlic, parsley and swiss chard then baked in a fireplace known as komin. First, a fire is created in the komin then the embers and fire are pushed aside to allow soparnik to cook on a stone where the fire was. Some hot embers and ash are also placed on the soparnik. Bakalar is a must eat food during Christmas Eve in most families in Croatia. It is also prepared in most parts of Europe and South America. The preparation of this delicacy is quite flexible as you can adjust the recipe to suit your taste. Depending on how your family like it, you can change the ratio of potatoes to bakalar or even add more garlic. You will be hard pressed to find a Croatian who does not like grilled fish. Seafood in Croatia is healthy and very delicious thanks to the clean Adriatic sea. Whether it is a Scorpion fish, sea bass, sea Bream or Sardines cooked on a grill with olive oil, pepper and salt, this is a classic Croatian traditional food. This food is only to those who love sea food due to its intense seafood flavor. 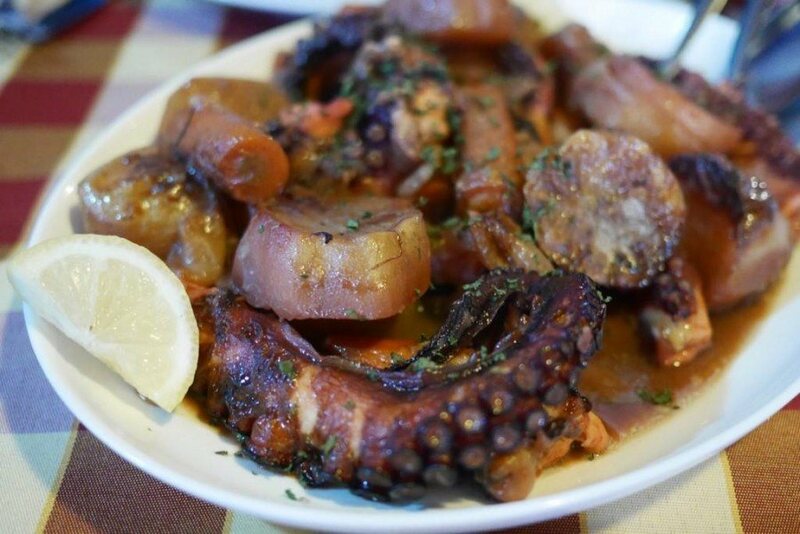 Since Croatia sea food is in abundance, you can always find fresh cuttlefish or squid to prepare Crni Rizot. Though slightly intimidating due to its black color, Cmi Rizot is a famous dish along the Coastline. For full enjoyment, sprinkle some grated cheese on your risotto. This is a holy grail of Dalmatian Croatian cooking. It is composed of stewed beef and it is prepared with a very special sauce. It is sometimes referred to as just beef stew, Dalmatinska pašticada or Dalmatian pot roast but whichever way you choose to call it, it requires meticulous and long preparation. It goes well with plavac mali, an excellent Croatian wine. This is a traditional method of food preparation in Croatia that makes everyone salivate. The cooking process goes like this; all the ingredients are put under peka, an iron lid that is then covered with hot coals. The food is left to cook slowly without stirring or tasting. When peka is lifted, the room is filled with flavors no one can resist.